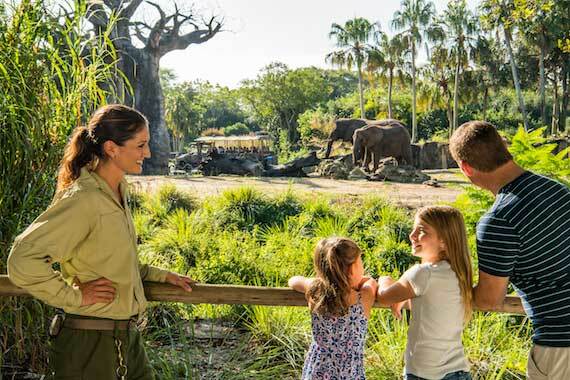 If you love getting to learn more about the animals that are found at Disney’s Animal Kingdom, then you will want to make sure to sign up for this brand new tour. Caring for Giants is a brand-new unique, family-friendly backstage viewing experience featuring the park’s African elephants. 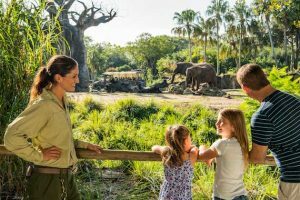 The tour has Guests meeting with Disney’s Animal Kingdom animal care specialists who help provided for the wellness of the park’s elephant herd. In addition, Guests will be able to hear stories of Disney’s conservation efforts that have been made toward perserving wild populations. The tour will bring Guests up close to the action…well, as close as you’ll want to comfortably be, anyway – approximately 80-100 feet. The Caring for Giants tour will last 60 minutes beginning March 12. Tours will occur daily between 10:00 a.m. and 4:30 p.m. Guests must be at least 4 years or older to particpate in the tour. Guests will need to check in 15 minutes prior to start of experience at the Animal Experiences booth, located across from the Kilimanjaro Safaris entrance. The cost is $30 per person (tax included) and park admission is required, but not included. To book this tour, call (407) WDW-PLAY. Thank you for the information! After reading your post, I booked this tour for myself, my husband and 4-year-old daughter for April. Can’t wait! I will be using a scooter during my stay. Will I be able to use it during the tour? If not, how much walking is involved?